Dr. Robert de Swart has been a part of the OAI team since 1994. 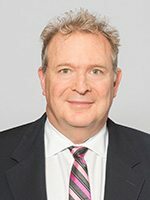 Although he sees and treats all types of orthopaedic problems, what makes him unique to our team is that he also is our pediatric orthopaedic physician. He has a way of putting the most fearful child at ease and his expertise will put Mom and Dad at ease, too. For an appointment with Dr. de Swart, please call (440) 892-1440. He sees patients in Westlake, Avon, and Lakewood, Ohio.